Working with PhD students on their projects has been a source of great satisfaction and inspiration to me. Each project is different. And because the students come from all over the world, the projects take me all over the world, too. It is in conversation with the PhD students that I have developed most of my ideas. Most of my PhD students continue in the academia. Six of them have made it to full professor. Currently I am supervising 14 PhD projects. Trained as an economist and philosopher, Wilfred Dolfsma obtained a PhD based on the former. He is a full professor of Strategy & Innovation at the University of Groningen School of Economics and Business. His research is on collaboration for innovation, between and within firms. 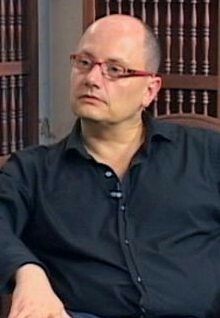 He is editor-in-chief of the Review of Social Economy. I obtained my PhD in 2009 from the Erasmus Institute for Philosophy and Economics under the supervision of Arjo Klamer and Jos de Mul with a project called “The Phenomenology of Economics”. Currently I’m an Assistant Professor at the University of Quebec at Montreal. My main research interest is the historical epistemology of economics, inspired by phenomenological philosophy. Pauline is a reflective practitioner. She concentrated her research on trust in organisations: what are the conditions for trust?Wat are the effects of trust? How can we influence these conditions and effects? The outcome of her research in the form of the Trustworksmodel aims to provide practitioners a practical approach to create a culture of trust. 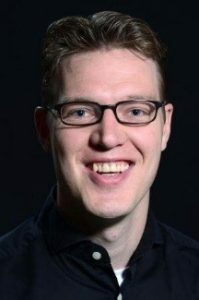 Onno Bouwmeester is associate professor in management and consulting and responsible for the master specialization Management Consulting in business administration at VU University. Research involves rhetoric of consultants and academics, the role of consultants in the rigor and relevance debate, the signaling role of professional humor and rationality. 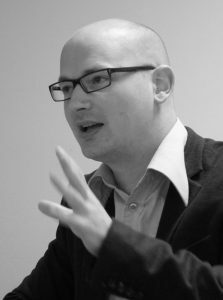 Olav Velthuis is Associate Professor at the Department of Sociology and Anthropology of the University of Amsterdam. Before, he worked for five years as a Staff Reporter for the Dutch daily de Volkskrant . He is currently studying the development of art markets in Brazil, Russia, India and China. His research interests include economic sociology, sociology of art, cultural sociology and sociology of consumption. My field of study is pluralist economics, in particular development economics, and social economic issues. I am Professor of Pluralist Development Economics at the International Institute of Social Studies, of Erasmus University Rotterdam. I have edited a book and a handbook on economics and ethics, a book on the feminist economic of trade, and a book on social capital. I am currently writing an introductory economic textbook that is both pluralist and using global context, titled ‘Economics after the Crisis’ (Routledge). My recent research includes studies on bank culture and gender biases in finance, and work in behavioural economics on beliefs and on nudging. My PhD dissertation (1999) was titled ‘Caring for Economics – an Aristotelian Perspective’. It is still available as The Values of Economics – and Aristotelian Perspective (2001) from Routledge. Research Interest: Conceptual History, Modern Political Philosophy, Republicanism, Liberalism, Political Theory. Erwin Dekker is assistant professor in cultural economics at the Erasmus University in Rotterdam, the Netherlands. He has recently completed his Ph.D thesis ‘The Viennese students of Civilization: Humility, Culture and Economics in Interwar Vienna and Beyond’. He has published in the fields of cultural economics, economic methodology and intellectual history, and he is currently working on valuation regimes. Previously he has worked as lecturer at the European Studies department at the University of Amsterdam, where he specialized in political economy. Integrity in professional practice. Integrity is important in our modern way of life. Therefore we need a clear understanding of the meaning and importance of integrity in daily professional practice. Otherwise, we are at risk that important integrity topics will be insufficiently addressed or will be approached in the wrong way. This study answers the question: what is, from a normative perspective, integrity in modern professional practice? He combines economics, philosophical analysis with artistic research. His research gravitates around money and its socioeconomic functions. Papadopoulos studied at the London School of Economics and the Erasmus University Rotterdam. He was a researcher at the Jan Van Eyck Academy and in 2012 was awarded the Vilém Flusser Prize for Artistic Research.